My training for the Rock 'n Roll Arizona Marathon (in Phoenix) is going well. I'm hitting good quality on Tuesdays (track), Thursday (tempo) and Sundays (long). My mile repeat times are in the high 5:30s/low 5:40s, which isn't bad when you consider that the track I use is at 6,200 feet. My tempo runs continue to be super solid. I've been consistent all year with my tempos. On Sunday, I completed a 20-mile out-and-back run in 2 hours and 32 minutes, climbing over 500 feet--from 5,700 feet back up to 6,200 feet--in the last seven miles. That was my second 20-miler in three weeks, and I plan to keep up with the 20s for the next few months. 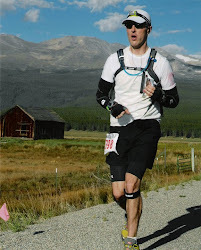 After Sunday's 20-miler, I had a Eureka moment. There I was, climbing back up into my neighborhood and fighting fatigue, mild bonking (I'd allowed myself only one Hammer gel at mile 12) and "cotton mouth" from minor dehydration. Focused on the moment, I was totally devoid of all distractions and thought only of the task at hand: maintain pace, get up this long, steady climb and complete these 20 miles with an up-tempo finish in the last 1/2 mile. It was tough, as running 20 miles on a hard surface isn't ever easy. 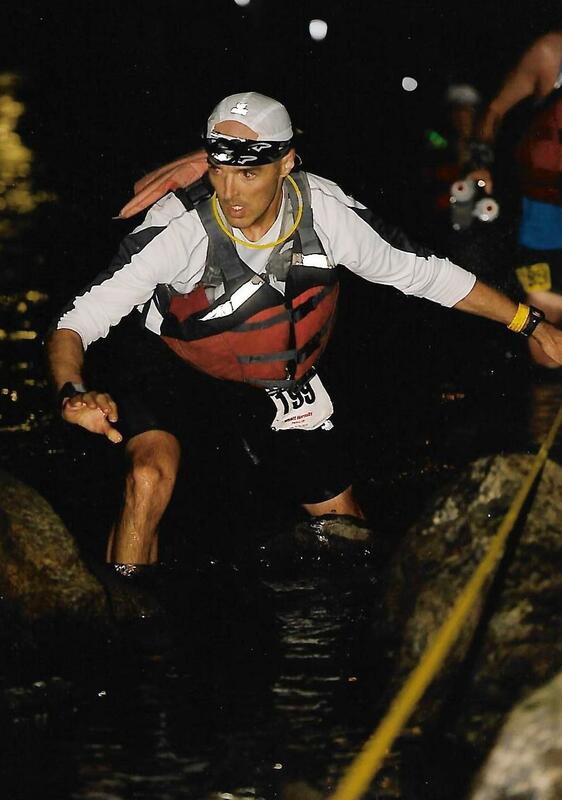 But I was locked into the moment and eventually the 20 miles got done with a fast finish. Sunday was a great day because I knew I'd put in good work. As for my Eureka moment, it dawned on me on Sunday, more than ever before, that for the past few years I haven't done nearly enough long runs, meaning I haven't pushed myself to "that place" in a run when I must totally focus on the task at hand and get past the mental and physical hurdles before me. I think it's the same place you find yourself in the last 10K of a marathon. I've pushed myself hard in long tempo efforts, but there's something about a 20-mile run that you can't replicate in any other way--and in these past few years, as time for training has been harder and harder to come by, I'd forgotten that. I used to do lots of long runs! Why did I stop when they work? Long runs benefit you not only physically (especially when you allow recovery afterward), but also mentally. If you don't go long on a consistent basis, how can you expect to be ready for the challenges of a long race? Maybe that's been my problem over the past few years--I got away from long training runs. It certainly could explain my recent propensity to start races strong but tail off in the end. I believe that sticking with my plan to do several more 20 milers in the lead-up to Phoenix will help me be mentally and physically ready for the challenge of 26.2 miles--at 6:40 pace or faster--on the road. And you can bet that long runs of 25-30+ miles will certainly be in the mix for my Leadville 100 training! Just like that, Lance Armstrong's house of cards has fallen. On Tuesday, the seven-time winner of the Tour de France (1999-2005), who now faces overwhelmingly compelling doping allegations by the US Anti-Doping Agency, got dumped by Nike, Trek (which practically owes its popularity to Armstrong), Anheuser-Busch and many other sponsors (except Oakley). The International Cycling Union is now weighing whether to strip Armstrong, who the USADA calls a "serial cheat," of his seven Tour titles and other wins. If that's not bad enough, he also stepped down as chairman of the foundation he established to support cancer research. Livestrong's once powerful brand--we all recognize the yellow bracelets--has potentially taken a fatal hit, just as Joe Paterno went from a virtuous father figure to a callous coward. To use a famous saying (I coined), today's chocolate is tomorrow's s__t. It's time for Lance to bare his soul. For years the doping allegations against Armstrong were like pebbles tossed at his Teflon armour. He denied, denied, denied--and many of us believed him even in the face of a federal investigation and increasingly skeptical news reports. But, the US Anti-Doping Agency's recent report is far more than a pebble; it's catastrophic damage to Armstrong's personal "brand." Many now view him as a liar, fraud and con-man. Betrayal is another feeling we might have. I've been in PR for a few years, and one part of the business that's always interested me is crisis management--maybe because it's often done so poorly. In a crisis, one can face financial and legal threats, as well as serious threats to their reputation. 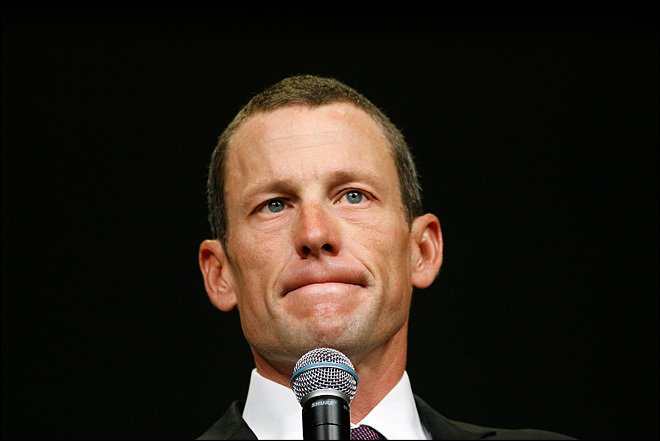 In Lance Armstrong's situation, the situation is dire in all three areas. Before we explore what Armstrong can do to help mitigate the damage, let's first assess the threats before him. Legal: It is conceivable that he may face legal action from companies that paid him bonuses for his Tour de France wins and will now want that money back. It's even conceivable he could face prosecution for perjury as a result of previous sworn testimony, which could mean jail time. Financial: Potential lawsuits could mean Armstrong is at huge financial risk. With all of his sponsors gone (except Oakley, which will surely pull out), is he in a position to pay potential settlements? Reputation: This is where Armstrong, once a hero to millions for his cancer fundraising work and valiant cycling, is at greatest risk. Without his reputation, what does he have? So, with his world in shambles, what can--and should--Lance Armstrong do next? I think he can't wait to act. He can't hide or refuse comment. His reputation is quickly eroding, meaning he must do something now. He must come forward and talk. He must tell the truth and nothing but the truth. But only if his heart is in it. A disingenuous, cavalier "I'm sorry" will only worsen the damage. Armstrong must come to grips with what he's done, and then pour his heart out to his fans. Marion Jones, the disgraced Olympic gold medalist, apologized--with tears streaming down her face--for cheating and lying and, granted, she's never recovered from the damage. But there's a huge difference between Marion Jones and Lance Armstrong. The difference? Marion Jones never had even a fraction of the public love that Armstrong had. People loved Armstrong, and now these same people want answers from him. I believe Armstrong is in a much better position to seek forgiveness than was Jones. Does Armstrong even know the truth? Or has he lived so deeply in his own lies that he believes he never really even lied in the first place, especially since "everyone else was doping"? Let's suppose that Armstrong does now recognize his own lies. One can only hope he'll also understand that the American people are a forgiving people. We tend to forgive people who do wrong and bare their souls as they ask for forgiveness. Armstrong must sit down with a reputable news outlet, like "60 Minutes," and tell the truth. A press conference won't do; he needs to go deep into his story. He must show emotion and humility. He needs to explain why he cheated, how he cheated, why he apparently coerced others to cheat (appearing to be a bully), and why he's covered it up for all these years. He needs to show genuine remorse--and he must reach out to people in the cancer community who have looked to his once miraculous story for hope and now feel betrayed. Of course, to do so would place Armstrong at risk of being sued by companies like SCA Promotions, and even facing perjury charges. If his reputation means anything to him, those are risks Armstrong has to take. Perjury cases are notoriously hard to prosecute, meaning the chances of him doing jail time for lying under oath are limited. As for lawsuits, Armstrong could avoid a public fight with SCA and others by quietly settling out of court, which he should do if pressed to pay up. There are, in my eyes, no ways for Armstrong to totally escape all three threats--financial, legal and reputation. He will never fully recover from this situation. But he can help mitigate the damage by doing what he should have done years ago--tell the truth. This country is hard on liars, but we're even harder on liars who don't fess up when busted (we did, after all, forgive Bill Clinton, who lied point blank to the American people, only to fess up later). For the sake of his legacy and for the good of his family, Lance Armstrong has to come forward and tell the truth. He has to help us understand why he did what he did (if, of course, he himself understands). He has to acknowledge he was wrong. And he must ask for forgiveness. He can never repair all of the damage to his reputation, but he can certainly stop the bleeding and begin the process of redemption and healing. 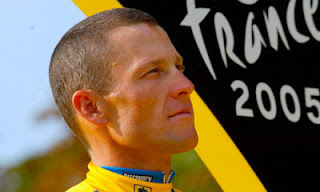 Click here for a disturbing look at Lance Armstrong's career and the doping allegations that have plagued him. In the corporate world, there's a tool called "Stop, Start, Continue" that many companies use this time of year for budgeting and "resource allocation" purposes. I've never been one to espouse the virtues of corporate tactics and strategies, but I do think it's a great idea for us runners to occasionally look at how we're training and racing and consider new approaches while letting go of bad habits. 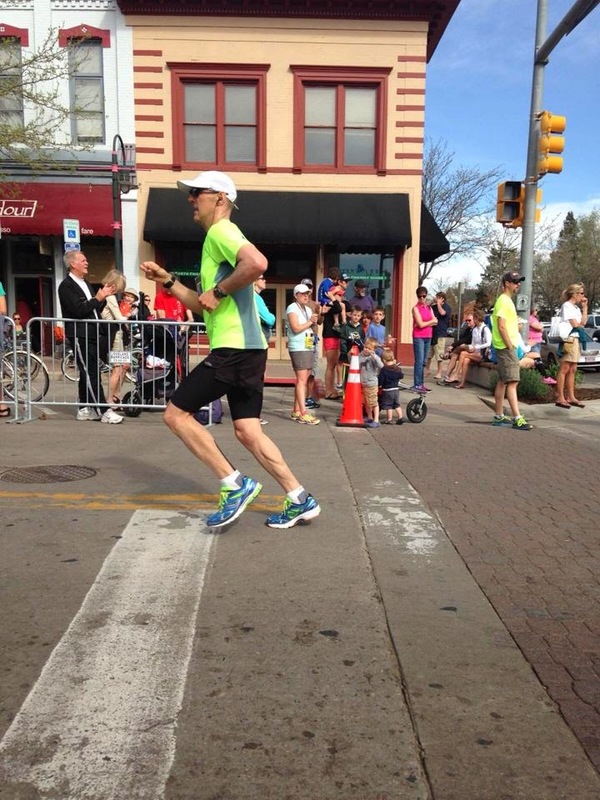 With my training for the Rock 'n Roll Arizona Marathon now under way, here's what I've started doing, stopped doing and continued doing. I'm no longer pushing myself to hold a good pace on a daily basis. On my easy days, I'm trying to run easy, and usually that's around 8-8:30 pace. I'm no longer obsessing over my GPS and making myself run a certain pace on easy days. Easy days=easy pace. Also, I've stopped breaking long runs into two workouts. Over the past few years, as my free time has become more limited, I've gotten in the bad habit of running, say, 16 miles in the morning and then 4 more miles later that afternoon, so that I could tell myself I covered 20 for the day. Such an approach, while occasionally a good tactic when training for 100-milers, instills a false sense of security. I've stopped doing back to back long runs every weekend. My Saturday mileage is now capped at 11, and on Sundays I'm going long. By limiting my Saturday mileage, I'm able to enjoy greater quality in my Sunday long runs. When Leadville rolls around, back to backs will come into play again, but for now they're off the table. Finally, and as noted in a previous post, I've stopped wearing Hokas. I'm now mostly wearing lightweight trainers with good stability (Ascics Gel DS Trainer 17s and Nike Lunar Glide 4s are my favorites) and the right amount of heel lift. I've started emphasizing long runs. On Sunday, I covered 20 miles in the Parker hills in 2 hours and 35 minutes (with 1,100 feet of climbing mixed in). In training, there are many ways to skin a cat, but one thing you can't do--if you really want to break through--is skimp on long runs. Twenty miles all in one go will benefit you a lot more than 16+4 over two workouts in a single day. For one thing, two workouts in a single day may slow your recovery and can sometimes lead to burn out (you need that sense of accomplishment without another run hanging over your head). But, most important of all, when you push yourself to 20 miles and beyond you realize some great benefits in terms of physical and mental conditioning. I plan on doing another seven or eight 20-milers (including at least one 22-miler in 2:50 or less) to get ready for Phoenix. As noted above, I'm also trying to go easy on my easy days. Your biggest gains come from your quality days, not your easy days--so there's no need to push yourself on easy days. Rather than obsess about a certain number of miles on easy days, I'm just running at a gingerly pace (8:00-8:30) and going more on feel than on a certain distance. I also have a renewed focus on flexibility. I'm doing some yoga stretches to try to help prevent injury and promote recovery--critical during this time of year when the temperature is cooling off. Quality is king--it's how you make big gains. Long runs of 20+ miles are great quality, but so are intervals and tempo runs. I've always been great with regular tempo runs but my commitment to the track over the past few years has been sketchy. Intervals will get me faster while tempo runs will improve my strength and long runs will condition me for the challenge of running 26.2 miles at 6:40 pace (or faster).